Left can be to the right of where you are standing and to the left of where you were standing, so left is also right.. 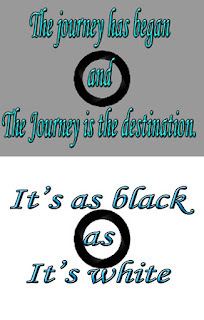 Same with east, keep going east on a journey and you will always be to in the west of where you are going. Therefore to arrive is an illusion. If you don’t keep going you will stand-still forever, and that does not really happen. It is said that every in life is impermanent. So impermanence is a permanence! When or where in the universe did all this paradox begin? It never will. It is so, right now! Now... What it there to explain? The truth is, it would be a lie! These are my thoughts on the mind. Zen thoughts from the mind looking at itself. . Crazy thoughts. Don’t believe in them! 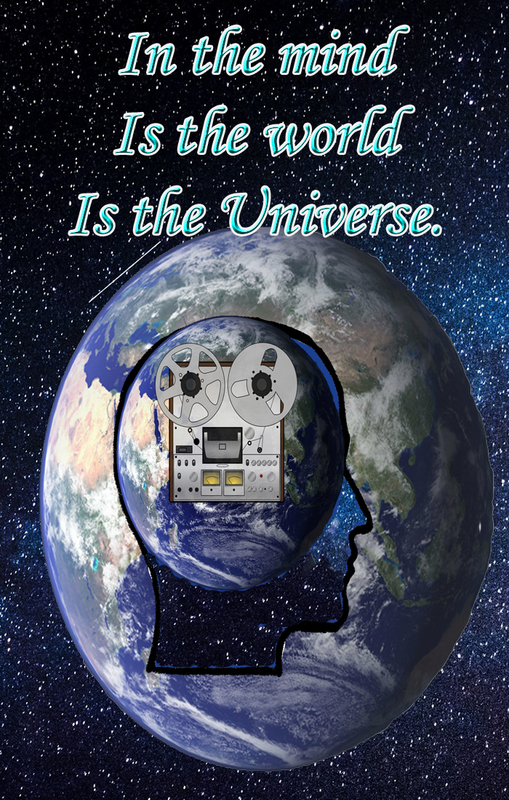 The mind is an illusory recording device. The past is no more, the present is immediately gone, and the future is not yet. When thinking about these tenses, the mind is using memories of what it already knows.. And that it past! Nothing is stable and permanent as everything is in a state of flux. Yet the mind believes in stillness. But is it ever still? Thoughts coming and going, even in the shape of dreams whilst we sleep. In dreamless sleep we do not know anything, The mind may be stopped, but we are not aware and we cannot remember it. It is said that an enlightened person can be aware of the unknowable. Aware of no-mind? The belief in the ability to make the unknown, known is powerful. It is said that an enlightened person can be aware the unknowable. How can he know it? It is said that if we try to know it, then it is not going to happen. This, I would imagine is a koan. We use the word knowledge, and the mind collects it as if it is of the ultimate importance, yet all knowledge changes. Knowledge is subject to the laws of evolution along with everything else in the universe. But the recording-device brings about the illusion that knowing can be permanent. Even that the here-and-now is permanent, but it is momentary and cannot be tied down. 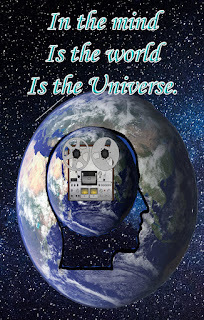 The here-and-now indicates that which is constantly in a state flux.But yet it is true that now is gone and the only knowledge of it is a recording in the mind –just a memory. Now is indivisible. To the mind is divided into now, and now, and now… like a clock ticking away. The seconds that we believe are divided are not really divided at all! But look carefully… where is a second divided? Query this and notice what the mind does. If you can do this, you are witnessing the mind. But who is witnessing the mind? Where has the time gone? Where has the moment gone.. immediately gone. Right now, I am aware that my mind has been questioning this life. I say ‘has been’ because I can only know of things of the past, not of the present. The here-now... is non-existent for my mind. I must be existent because I am living existence. But my thinking is always about what was and not what is. One of life’s mysteries. Well... all of life’s mysteries when contemplating life itself! Life is a mystery is that it is constant and permanent, but not in thought, for the ego-mind believes it knows life. But really….. I do not know how life comes to be. But does life really come to be? All I can know is an expression of life through my experiencing. I would say that life always was, is and will be, as it is in everyone and everything both the sentient and the non-sentient – no beginning, no end. Life is not created by or of the mind because it cannot be. 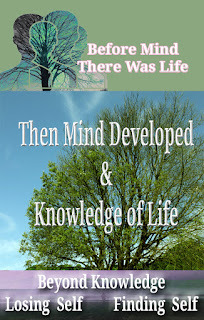 Before my mind there was life. After my mind there will be life. Sometimes in Zen, life is referred as Mind, with a capital ‘M’, or ultimate enlightenment. Life is... always or immortal. Knowing life is mortal and ends. 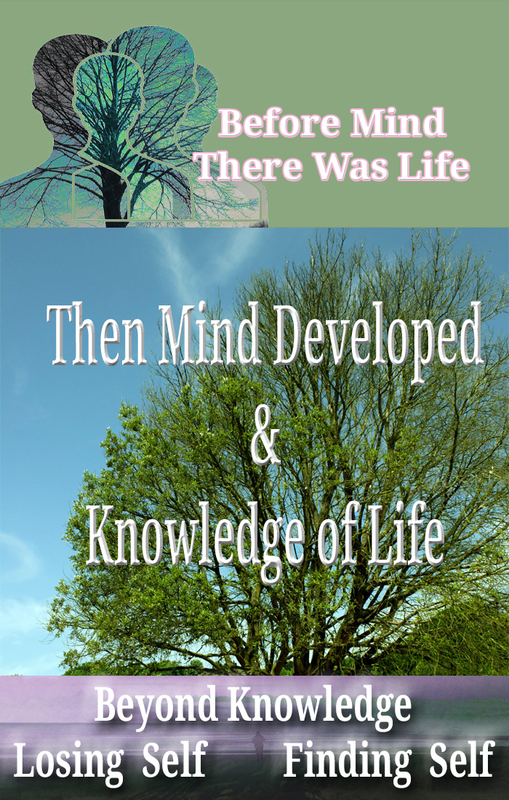 My thinking mind developed, and I began to know and remember life. Before that, there was no knowledge, just me without an ability to think, without an ability to know, but I was in life. I can only know what was, and at best my knowledge is faint of being fascinated with I know not what..
Zen can be a word for life and to many it is life. Zen/life indicates life when it reduces everything to the Great Void and allows us a glimpse of it.. Then for that moment, Zen is no more.. No-thing! Timelessness, everywhere in space, yet no place that can be separated and indicated 'the space of the void'. The void is All of space. Beyond the capabilities of thinking. It is there beyond my grasp, yet something that I am – something that everything and everybody is. In the hara, there is an almost supernatural force. If one was to watch a Japanese Sumo wrestling contest for instance, it would be observed that the contender with the strongest centre in the hara, would displace his opponent from the ring with hardly any effort at all. This is ki (Chinese, chi) that is flowing from the hara and is mysterious and once fully developed, will eliminate the need for great body strength. I remember myself attending a weekend dojo in ki-aikido, a martial art that values the spiritual and utilises full use of the hara, called by ki-aikido practitioners, the 'One Point in the Lower Abdomen'. A grand ki-aikido master was visiting from Japan, and asked for 3 or 4 of our senseis (teachers) to join him for a demonstration. Once on the mat, our teachers were instructed to attack the master however they wished. They all descended on him at once and with a few flicks of his hands and some small steps, they were all laid out flat on their backs, on the mat. This he demonstrated 2 or 3 times, and it seemed to me that even our senseis were confused as to how this small man could lay them out on the mat so easily. 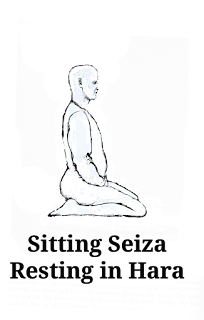 I was instructed to sit on the floor in seiza position (see illustration above) in front of him, a strong sitting position where one sits on one’s lower legs which are bent at the knees and where one is quite anchored to the ground. The next thing I realised was that I was flat on my back, and I had not felt a thing! He then said he would repeat the move and that I was to pay more attention. He moved towards me and extended his little (pinky) finger and gently touched me on my shoulder. I felt nothing but an extremely subtle but irresistible force and again I found myself laying on my back this time with my legs still folded underneath me. It seemed so very relaxing and yet so powerful. I was now convinced of the power of the hara, the One Point in the lower abdomen, and the power of ki. The master roared with laughter, and I couldn't help but laugh with him. This is something that happens so much in Zen. I then returned and sat seiza with the rest of the students and senseis, and the master talked about ki and reminded us all to practice keeping One Point... resting the mind in the hara... practising keeping the mind focused in hara during our day-to-day activities in life. It wasn’t to be regarded as something we would learn and forget about, but a way of life from which one will learn experientially of the magic and power of ki. I have adhered to this process ever since, and whilst I may not be conscious of hara 100% of the time, often when walking or waiting in line for instance, I notice that my mind is focused on my breathing into the hara automatically. With this 'automatic' awareness, I become aware of how centred I'm feeling and choose to focus more consciously. But then knowing that my mind will drift again, I am certain that whether I realise it or not, I am now keeping One Point. The mind functions on reason. 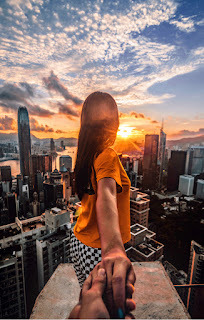 Reasonableness is the function of duality – opposites which attract, such as this-not this, good-bad, right-wrong, desirable-undesirable and so on. The human mind does not cause this to happen. It is created from the essence, life, universal energy or could be called God or any number of many names. And the way we know that we are reasoning is that have moved from a moment of non-reasonableness into reason. But exactly how that has happened is not possible to know, for that would be more reasoning which will be the effect of asking the question of how we are reasoning. Explain it we cannot – but we would possible believe that we could explain! ButZen is not philosophy. In my posts here I often talk of zazen (Zen meditation) as being a way to have the answer to these questions resolved. The paradox is that true zazen is not an action, but a state of being. Zazen is a happening. It comes to us when we are passive, not in activity. Therefore it could be said that zazen is not considered meditation, it is just sitting. There is nothing to 'do". 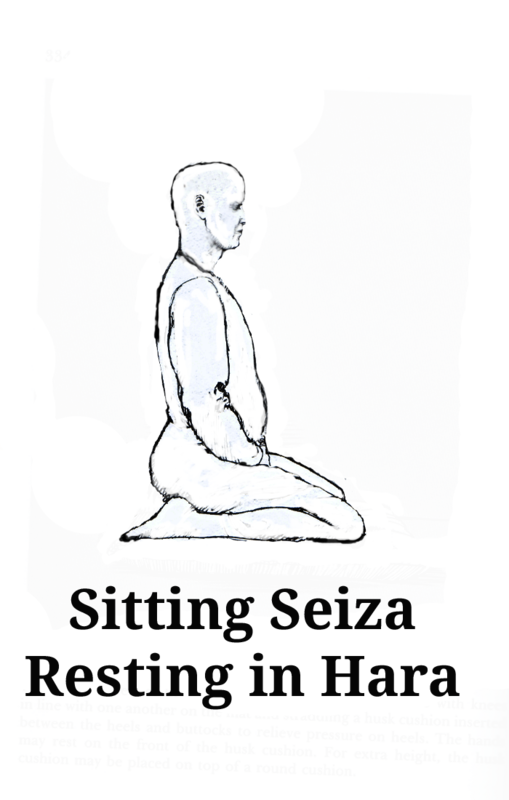 This can be fully realised by sitters who recognise that zazen itself, which is just sitting, is different with each sitting - imperceptibly perhaps, but over time it changes and we neither cause the changes neither can we stop the changes from happening It is just sitting contacting life as it is in the here-now. Being with whatever is so. Life is alive and forever moving on – forever evolving. Zazen is part of that happening. Don't have aims in zazen, be zazen itself, totally in the here-now, not seeking, not-doing, not following another's instructions, even these written here! There is no wrong or right way to meditate in this way. It is an occurrence – a happening. And there are no goals in meditation, and if it is seen clearly that meditation is absolute being(ness), that there are no goals, then this in itself leads to enlightenment – or perhaps it is enlightenment... most Zen masters and enlightened beings tell all of us that we are already enlightened! It has been recorded by others so who have trodden the path to enlightenment that enlightenment can and often does happen when no formal meditation is happening. Indeed, enlightenment also happens during meditation. It is unpredictable and it is unknown and cannot be known, explained or predicted by the mind, but it is realised when it is so. However, the moment we say, "I think I became enlightened". That is not so. It has nothing to do with thinking, and thinking is a happening within the mind. Enlightenment is a happening within the here-now, a place that the mind cannot enter, but it will remember that something happened perhaps, but it’s not happening here-now in the mind, it's remembered! This all may sound so contradictory and paradoxical. Life is that way. North meets South, but where? No north, no south for each is the other, but appear as separate. What is north of north? And what happens to the first north? Has it really become south? South of what? Duality does not really make for peace, it troubles the mind when the mind cannot know. Such is the way of Zen. When we are in anticipation we are not in a state of waiting. Our mind is on a past events projecting those stored memories into the future as ‘what ifs’ whether they be negative or positive. When we are not in a state of waiting we are up using our moments of life in illusory hopes and what ifs. We are not having our full awareness of living life. Losing moments of living awareness and consciousness in dreams. The paradox is that we are not really losing anything at all, whether or not we are aware! 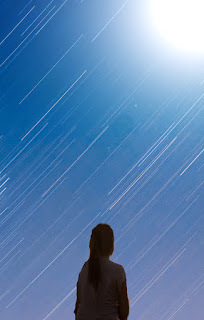 This short post invites you to bring what happens regarding waiting to your awareness. That is to support a higher state of awareness, not to prove that this query is right or wrong, or good or bad, for that is a judgement, which is an illusion of the mind. 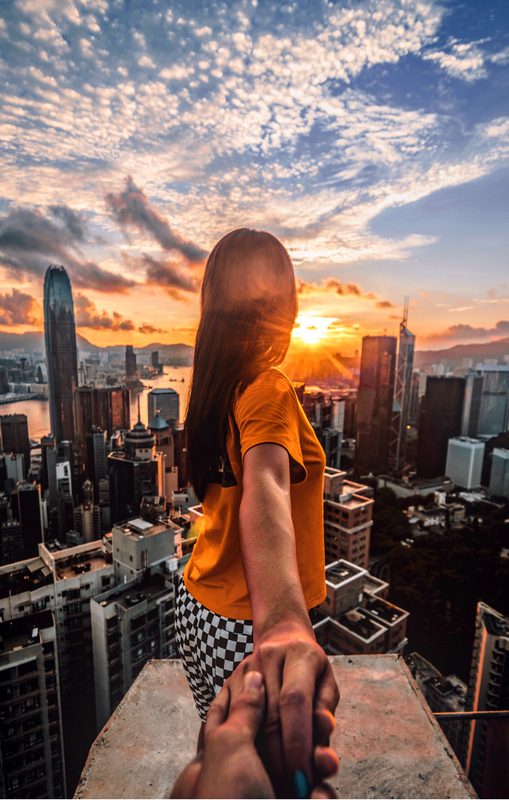 Since humankind developed language that enabled the process of thinking, we have judged and assessed what is ‘best’, but has humankind ever found what is best? How is any human being going to assess the best without thinking about and referring to what’s worse? Is it not so that whilst nature nurtures, she does not care? The sun will provide warmth to that which is better AND that which is worse. What’s in between? Just waiting? Would not absolute waiting be comfortable with the absence of all other things? No judgements, or expectations. 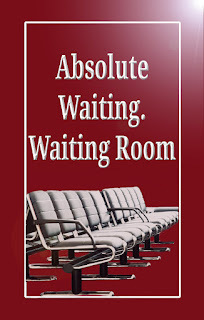 Just absolute waiting… And the mind would have no answer even after and in-depth analysis of what waiting is. Even with all the analysis in the world, the mind cannot know what absolute waiting is, as it would just turn out to be another explanation and not absolute waiting itself. Some contemplation on Absolute Waiting. Contemplate waiting. When truly waiting, the here-and-now will happen in awareness. Notice if you get a thought come to you that you just cannot wait. Just notice it, for the thought is not waiting or not waiting… The thought is more or less confirming a belief in being unable to wait. Notice if you are waiting. What action is involved in waiting? How can you show waiting to anyone? Few or no people absolutely wait as the empty chairs in the picture above represents. Where’s the absolute waiting? Where and what is the activity of waiting? There is knowledge of having waited, but knowledge is just more thinking of thoughts that are stored in memory. it cannot be waiting itself, can it? 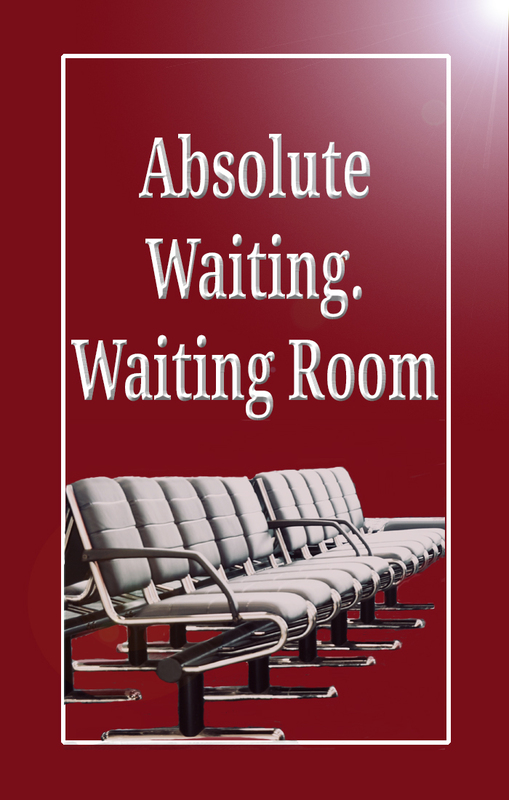 Contemplate the question… What is absolute waiting? Throw all answers from the mind away – for they are concepts and beliefs and not absolute waiting. They would be thoughts about waiting that occur AFTER the event of waiting! So keep the question, ‘what is absolute waiting?’ and wait. Notice if absolute waiting happens to you. Whilst we are encouraged to trust in life, by many spiritual teachers, there must be confusion as to how to trust. How do we trust? The truth seems to be that we can’t ‘do’ anything at all. Trust happens as a consequence of acceptance. When there is no acceptance, it is because of the belief that we can change things by doing something about it, but what is there to do? Acceptance is not a ‘doing’ thing, it is a state of being! And the more we try to ‘be’ a certain way, the more we can fail. We may well imagine that we have ‘achieved’ a new way of being. But it that really so? Are we not just the same underneath it all? This is because the more we try to change things the more we are in non-acceptance, which will manifest as resistance and intolerance of what is so and that means the more we are in distrust of what is so. And the more we will stay the same. Possibly more intensely the same than before we tried top change! If things feel good, because of our duality they are going to be bad again, for it is only through such relativity, we ‘know’ anything, and in this particular instance – we know good is the absence of bad and vice-versa. But where does the bad come from? Where does the good come from? Good may come from those circumstances that we believe we have controlled, bad may come from those circumstances we believe we have not controlled. But if we really have control of our thoughts and feelings of good and bad, why have we not worked out how to stop the bad times and only ever have good times? Acceptance… going with the flow… will help us transcend such opposites of good and bad that really are not opposites at all, but actually just different sides of the same coin. The mind is duality moving from one thing to its opposite and back again. It is how its knowledge is being processed and accumulated. Reality, Life, God or whatever you wish to call it, is omnipresent, omnipotent, infinite, unpredictable as it is constantly moving from the here-now into the here-now. Total acceptance of what is, brings us to the here-now. All that is needed is for our attention to be focused… in this here-and-now.